He is the Managing Director of Orabank Benin. He is also the President of the Bankers Association of Benin. Mr. HAIDER has 35 years of banking experience in Africa. He is a well-established notary, with many years of practice in Benin. She is a doctor. Co-founder of Young Beninese Leaders Association-YBLA, Former president of Ambassador’s Youth Council. She is the Director of Galerie Noble. Business owner, Mme LI is based in Benin since 2002. He is a risk manager on financial derivatives products and Director of R.A.Y Consulting and Beninese Entrepreneur. He has worked for investment banking in Japan and Hong Kong. 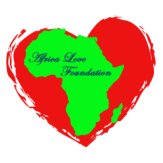 Africa Love Foundation was officially established after registration at the Prefecture of Cotonou on June 24th, 2015. The founding members had met prior to that in a General Assembly during which the Executive Board was elected and each member assigned a specific role for their first term of 2 years. The Executive Board brings together seasoned professionals from a diverse and rich background as well as young talented entrepreneurs. Their professions range from Civil Law Notary, International Investment banking, Medical practitioner to long established local business owner.